Most businesses use email for exchanging information with other businesses, with customers and with prospects. Yet, if appropriate email solutions are not used, email can be a source of problems for your business. To protect your company’s reputation and data security, it is essential that email for work only be conducted through a work email account and that your business also puts other safeguards into place. 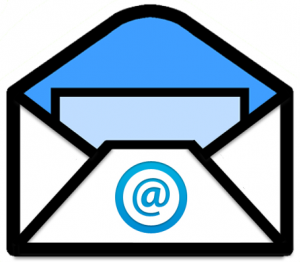 Why shouldn’t you use a personal email account for business? Personal email accounts typically do not have the same level of virus and spam protection that company email has. Furthermore, sending work emails using some popular webmail domains is considered unprofessional, and may even instill doubts about the abilities of your company to do business. Liability enters the picture if your company needs to retrieve all messages related to law suits and other matters, as is required by government and industry regulations, and the work related emails were sent by employees via their personal email accounts. There are also data security concerns. If sensitive client information and company secrets are sent via email that is not encrypted, you won’t be able to protect this valuable information from being read by unintended recipients. You also will have no control over what former employees do with the information that is stored in their personal email once they have left the company. Using professional email solutions, your employees will be able to work more productively while protecting your company’s sensitive information and its reputation. Business email establishes your brand (yourname@yourcompany.com), keeps your data centralized, and provides more features than personal email services. Supplemental email solutions facilitate email retrieval and keep your data secure to protect against data breaches. Business email helps to increase employee productivity while protecting business data. These secure email solutions, which can be implemented on a server in your office or in the cloud, include email, calendar, contacts, and task management. Spam costs your company money. Spam messages decrease employee productivity by wasting employee time, delaying the receipt of legitimate emails, and introducing viruses. Spam filtering evaluates the email sender and content reputation, analyzes email content for security threats, and rejects junk mail. Archiving saves messages in one repository. This facilitates the retrieval of messages in just minutes based on search criteria, including email messages that were deleted by individuals, enabling your business to comply with government and industry regulations. Encrypted emails are a requirement of several government regulations to protect against data breaches by making the message unreadable until it is decrypted by the authorized recipient. A policy-based encryption engine monitors outbound emails to automatically encrypt confidential information before it is sent, sending encrypted emails without changing employee workflow. The recipient clicks on a link and logs in to download the message. Business email solutions protect your company’s reputation and the security of your business data. When you meet with your account manager at Big Idea, we’ll review your email needs and recommend solutions to meet those needs.